Hi! I know you’re here for the hat pattern, which is the most popular thing here. But I wanted to let you know that my new book is up on Amazon! Check it out! So, I was browsing yarn.com’s closeouts (one of my favorite things to do!) and saw this adorable (and sadly discontinued) Classic Elite Bubbles. Something inside me shouted out “Kid hat!” I tossed a ball into my cart. It arrived, and sure enough, the “Kid hat!” refrain was still playing. But the ball was a bit smaller than I had hoped. It still seemed like “about a hat’s worth,” but I’d need to use every yard. I also was in no mood to do a gauge swatch or a bunch of math, nor try to figure out exactly how much yarn the top shaping on a hat would take, so I could determine when to start… I just wanted to get knitting. So I did. Here’s how. Yarn: whatever you like. Any weight – truly doesn’t matter. About a hat’s worth (I do this by squishing it in my hand and seeing if it kinda feels like squishing a hat. 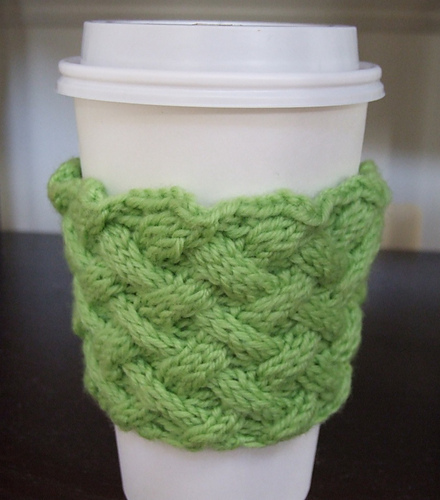 As you can tell, I’m a bit cavalier with my knitting.) 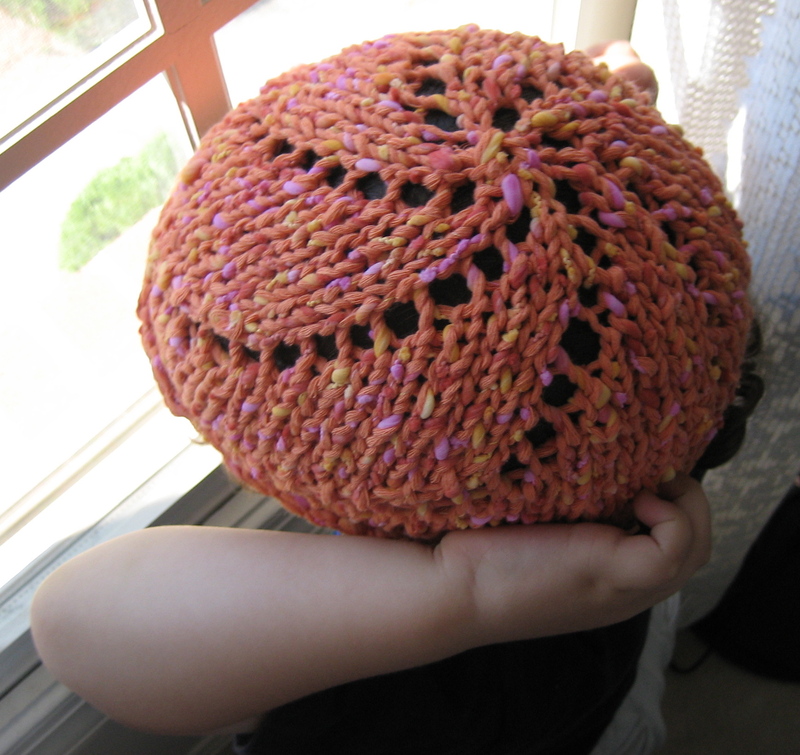 I made a kid’s hat with one ball (61 yards) of bulky yarn here. I’m guessing two balls would be plenty for a grown-up hat. CO 6 st. Distribute evenly on 3 dpns, or use a magic loop. Join, being careful not to twist. You see what I’m doing here, right? Increasing 6 st in every other row, lining up the yos to make pretty swirly lines. Repeat these two rows until you only have a few yards left, or until it looks like a hat. Then k solid for 3-4 rows, or until you run out of yarn. This will give you a little rolled brim. BO loosely. Sew in the ends. Voila! A hat with no math! Psst – have you seen the Manly Version of this hat?